I sell Remote control helicopters. These copters are the most durable and easiest to fly, EVER! 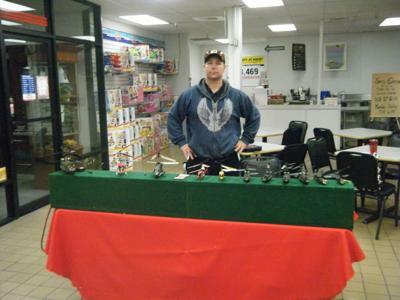 I have a large selection of indoor copters as well as outdoor models. I typically travel to military bases throughout the US using the AAFES Program, but want to expand to other vending options. I do travel and am ready to go. I have two six foot tables; Electricity Preferable; Indoor a must. Thank you.